Magnum Foundation expands creativity and diversity in documentary photography, activating new audiences and ideas through the innovative use of images. Through grantmaking, mentoring, and creative collaborations, we partner with socially engaged image-makers experimenting with new models for storytelling. Magnum Foundation is committed to supporting a global network of social justice and human rights-focused photographers. They are also active participants in the local arts and activist community on New York City’s Lower East Side. As they expand possibilities for the next generation of photographers, they also work to preserve the histories of humanistic and documentary photography, including the larger Magnum Photos community. Magnum Foundation’s work is grounded in the belief that images are a powerful tool for engaging issues and ideas. Stories told in creative new ways by image makers working within their own communities have the possibility to transform how we see and understand the world. The Magnum Foundation Fund offers production grants for long-term, creative, and socially-engaged projects. The fund fosters diversity and creativity in documentary photography and related practices through production grants, mentorship, and project development assistance. In collaboration with the Prince Claus Fund, the Magnum Foundation Fund supports both emerging and experienced practitioners. Each year, a changing international committee of nominators invite photographers to submit proposals for consideration, which are then selected by an independent jury. Selected projects are those that explore new models of storytelling, demonstrate a commitment to social issues, and/or are grounded in the communities they represent. In 2018, eight artist projects were awarded. The Magnum Foundation annually presents the Inge Morath Award to a woman photographer under 30 to support the completion of a long-term documentary photography project. The awardee and finalists are selected each year by the full membership of Magnum Photos during the Annual General Meeting. The award is administered by the Magnum Foundation in partnership with the Inge Morath Foundation. Magnum Foundation’s Photography and Social Justice Program expands diversity and creativity in the field of documentary photography through capacity-building and critical explorations of photography and social change. 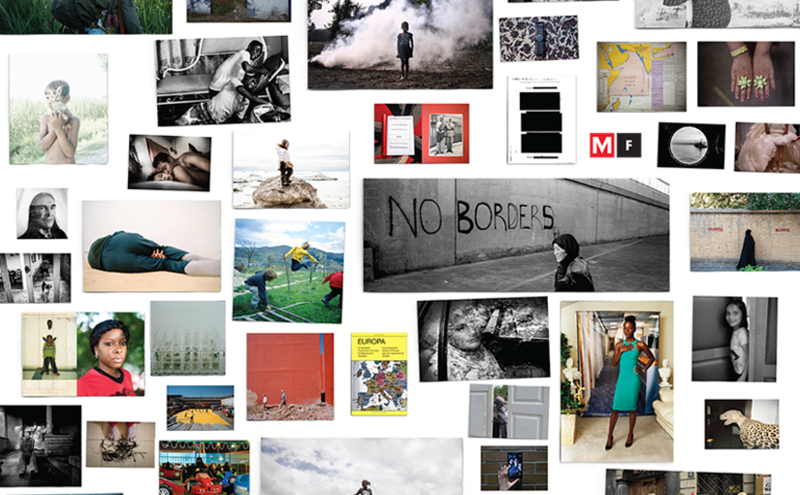 Each year, the program supports a diverse, international group of Photography and Social Justice Fellows who are passionate about challenging injustice, pursuing social equality, and advancing human rights through photography. With New York City as a cultural resource, the program provides space for interdisciplinary experimentation, mentored project development, and cross-cultural, critical discourse at the intersection of photography and social justice. During the program, Fellows work on projects in their home* communities with support from Magnum Foundation’s mentors. Magnum Foundation covers the cost of travel and room and board for the sessions in New York City. Fellows also receive a modest stipend to support the production of their projects. The Magnum Foundation Fellowship offers mentorship and stipends to photojournalism graduates at a critical moment in their development as photographers. During the Fellowship, fellows produce an in-depth story local to New York City on an underreported or emerging issue. Fellows will be encouraged to build relationships with their subjects in the field, seek partnerships with relevant organizations, and experiment with multimedia production. The fellow also supports the Magnum Foundation team on a range of projects in the New York office. Calls for applications are announced throughout the year on a rolling basis. The Fellowship is open to recent graduates and graduate students only. Magnum Foundation offers the Abigail Cohen Fellowship in Documentary Photography which supports photographers in addressing pressing social issues that are impacting China and its relations with the world that have not received the attention they deserve. Applicants are selected from a list submitted by a diverse group of photography professionals who are then invited to each submit a proposal. Photography Expanded brings together photographers, writers, technologists, students, and other creative thinkers to experiment with new approaches to visual storytelling. Events vary and participants are sometimes selected from an open call around a particular theme. Events – Magnum Foundation regularly offers free public events featuring artists and community partners exploring issues of social justice and alternative narratives. Magnum Foundation offers internships to individuals that have knowledge in documentary photography, understanding of contemporary global affairs, and an interest in journalism, photography, art, public policy, and social justice movements. They seek individuals that are organized, self-motivated, and team players. Magnum Foundation partners with school and other institutions that provide funding or academic credit to interns. All interns will have access to a range of enrichment activities, including visits to relevant cultural and industry events around New York City, opportunities to share personal work and receive critical feedback from the team, and the chance to pitch and curate film screenings hosted at the office. Magnum Foundation offers internships in the following departments: programs, development, and communications. If you are interested in applying, please send a resume/CV and a cover letter with the internship name as the subject line to Alexis Lambrou at alexis@magnumfoundation.org, stating which internship you’re applying for, the nature of your institutional support, your availability, and why you are interested in interning at the Magnum Foundation. Please note that Interns must make a minimum commitment of 16 hours per week for the duration of their internship.